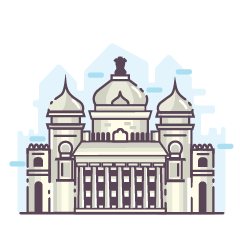 With its unique culture and history, Chennai - the Gateway to South India - is home to 60+ Zolo properties. These paying guest accommodations in the capital of Tamil Nadu offer luxury and endless convenience to all. Depending on different budgets, students and working professionals can opt for Select or Standard properties. In both categories, residents are entitled to Clean rooms, Homely food, Caring staff and much more. Running in prime locations, PG in Chennai by Zolo is nothing but a steal.